As January 1 approached, the day Texas’s new open carry law took effect, it seemed gun rights advocates were poised to savor a big victory. The legislation, coupled with a measure allowing guns on college campuses, was the result of a hard fought and widely publicized battle in the state capitol that culminated with Texas becoming the 15th state to allow the open carry of handguns with proper licensing. But within just 11 days, the attitudes on display on a popular message board suggest that some Lone Star State open carriers worry that the push to expand their rights may have done more harm than good. In a post on TexasCHLForum.com, a popular gun rights website moderated by National Rifle Association board member Charles L. Cotton, one user reported that the new law has triggered private business owners to not only exercise their right to bar open carry on their premises, but prohibit concealed handguns as well. Any private business in Texas that wishes to bar firearms must display a strictly regulated sign — dubbed “30.07” for openly carried guns, and “30.06” for concealed firearms. Amid the controversy over open carry, this gun owner was noticing more of both varieties. That original post generated more than 100 replies, and numerous theories. 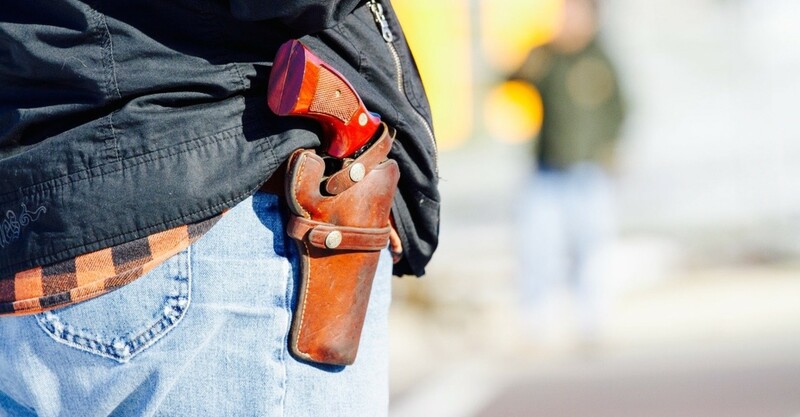 Some Texas CHL users speculated that the increase in notices barring concealed weapons may be due to a revision to the existing 30.06 sign that was ushered in by the new open carry legislation. Older 30.06 signage was rendered obsolete by the change — and signage is something that Texas gun rights advocates actively police. Gun rights activists have adopted a rigorous campaign to police the state’s strict regulations over signs barring guns in private establishments. 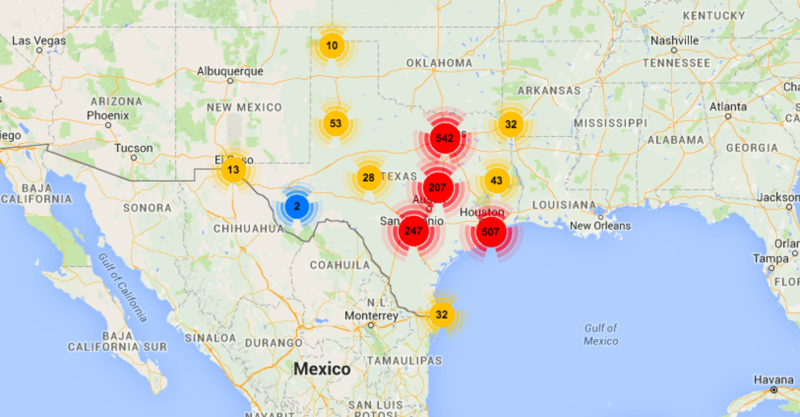 At this point, nobody needs to be told about the strong and historic gun culture of Texas. Year after year, it laps the field in total (and even per-capita) requests to purchase handguns, shotguns, and rifles, and its 8,500 licensed dealers are the most in the nation. The state was recently ranked the fifteenth-best for gun owners by Guns & Ammo, thanks in no small part to its lax concealed carry provisions. But new legislation scheduled to take effect next year will extend to gun owners a new privilege. While open carry of shotguns and rifles has always been legal in Texas, beginning in 2016, Texans will be allowed to openly carry their handguns in public, either in hip or shoulder holsters. The law, signed at a shooting range this spring by Governor Greg Abbott, actually represents only a slight expansion of existing gun rights. It will be enacted, in fact, 20 years to the day after the state first repealed its 125-year ban on concealed firearms. That change in statute, one of the first undertaken by the legislature under then-Governor George W. Bush, impelled authorities to issue concealed handgun licenses (CHLs) to any applicant who met specific criteria of age, mental health, and legal status. Though state residents are now able to stride around town Wyatt Earp-style, they’ve been allowed for two decades to carry hidden guns, a la John Dillinger. While the existing concealed carry law opened some new liberties for owners wishing to bring their guns into the public sphere, it also provided some assurances to those who wanted to bar them from their private enterprises. Since the mid-’90s, Texas businesses have been permitted to post notices designating their property free from concealed weapons. Those warnings are ironically (or incredibly) dubbed “30.06 signs” after their corresponding language in Texas penal code. With the implementation of the open carry law, business (like Chipotle and Whataburger) will be able to simply place “30.07” signs in their windows. The new signs are similar to their 30.06 predecessors, but apply to openly-carried weapons instead of concealed ones. And they are already causing some of the same headaches as the existing system of signage, which rankles property owners and gun owners alike. That’s because the signs are subject to bizarrely strict stipulations on their appearance. While Texas took deliberate steps to streamline the issuance of open-carry licenses — such as automatically converting CHLs to open-carry permits and waiving the need for additional training — it has taken a fastidious position on the font size and color of 30.06 signs. Business owners can’t simply mount a slashed-pistol “gunbusters” emblem behind the counter and expect visitors to comply. (According to the Denton County Sports Association, the 30.06 signage was designed with this in mind, after CHL holders feared not noticing home-brew signage and the resulting criminal charges.) The signs must exhibit a uniform, thirty-eight-word message, both in English and Spanish. The text of that message must stand an inch high, and has to be presented in contrasting colors. Moreover, one notice can’t simultaneously prohibit open and concealed weapons. Proprietors, many of whom have lost business by posting one sign, must display both 30.06 and 30.07 versions. These rules may not seem particularly onerous, but Texas gun rights activists have adopted a novel and rigorous campaign of signage enforcement. The website Texas3006.com maintains an index to name and shame hundreds of establishments across the state that hang nonconforming placards. Intermittently cranky in tone, its users tirelessly decry large chains like Chuck E. Cheese’s and recommend nearby alternatives to offending credit unions and bowling alleys. A San Antonio movie theater is chided succinctly: “letters are not 1inch in height. Visit the Silverado in Helotes instead.” Bringing font size up to code is no guarantee of reprieve — the website encourages boycotts of businesses with copacetic 30.06 signs, too. The legacy of Texas’s open-carry initiative won’t be defined by such aesthetic skirmishing, of course. Five years after Bush overturned the state’s concealed weapon ban, observers were tallying the hundreds of felons and psychologically disturbed people who had inadvertently been granted licenses, not the video rental clerks reluctantly enforcing a storewide anti-gun policy. But the roadblocks that the state’s legislators and citizens have thrown up in front of private businesses trying to set their own safety standards — especially when compared to the ease with which enthusiasts can acquire and display their guns — is a sign all its own.